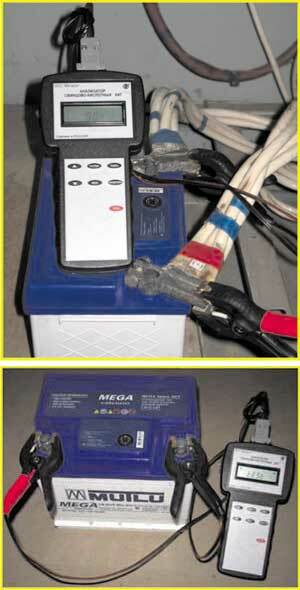 during the battery operation (an estimation of a condition and working capacity at real application). in all cases are confirmed by electric tests of the given batteries for loading. The error of measurements of the maximal current of scrolling by the analyzer is less than ±1%. Some results of tests are snown in figure and in the table. By results of tests of the battery of type 6CT55, he presented model of the analyzer can be used or the express-estimation of a condition lead-acid ventilated chemical power sources. We invite the interested organizations to cooperation. We shall be glad to cooperate with you!